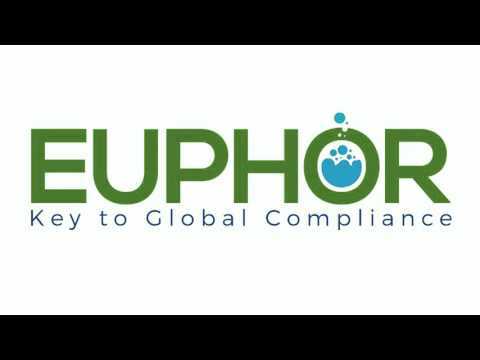 EUPHOR is a regulatory compliance management solution designed to serve the chemical manufacturing industry. The platform helps regulatory affairs, EHS&S (Environmental Health, Safety & Sustainability), compliance, and product stewardship teams to manage all activities related to substance registrations, including registering and notifying substances under regulations in place, at a global level. EUPHOR enables users to communicate and collaborate using a single platform, with features such as configurable dashboards, workflow automation, document sharing, and an automatic alert system. Managers can centralize activities and data to facilitate the completion of regulatory projects. The system provides pre-configured and flexible workflows for compliance projects that are based on governmental guidelines, such as REACH 2018, and K-REACH, or internal processes. Real-time and multi-level tracking features enable users to track project status per substance, business unit, and enterprise level. The intuitive dashboard gives organizations an instant 360° view of their regulatory compliance program. Users can upload, share, and store data throughout the registration projects for improved traceability and transparency. Activity tracking facilitates complex compliance programs, as well as business analysis processes and future audits. Works like a smart phone app, keeps track of all the complexity and doesn't let you forget when an action is due. Simple to use and provides real automation of the product registration process that handles multiple registrations and keeps everything flowing. Contact EUPHOR for detailed pricing information. EUPHOR helps compliance teams manage their registrations and collaborate with internal and external teams using a single platform. Users are able to generate pre-configured and flexible workflows for compliance projects based on governmental guidelines or internal processes. Users can track project status at the business unit, per substance, or the enterprise level with real-time and multi-level tracking. EUPHOR enables users to share, file and store data throughout registration projects, facilitating compliance programs, future audits, and business analysis. The intuitive dashboard interface gives users an instant 360° view of their regulatory compliance program. Below are some frequently asked questions for EUPHOR. Q. What type of pricing plans does EUPHOR offer? Q. Who are the typical users of EUPHOR? Q. What languages does EUPHOR support? Q. Does EUPHOR support mobile devices? Q. Does EUPHOR offer an API? No, EUPHOR does not have an API available. Q. What other apps does EUPHOR integrate with? Q. What level of support does EUPHOR offer? Q. Which apps is EUPHOR compared to most often?